But this week we are fighting back! There will be a meeting to plan and organise a united campaign to force UCL management to change their priorities and stop their relentless exploitation of students in halls. This is the first time for many years (if ever) that a similar campaign against the callous landlords of UCL has been undertaken on campus, and it might be the moment when the tables turn in favour of students’ interests and not the bosses’ surreptitious plans. Join in what might become a historic campaign! Find all the details for the meeting here. 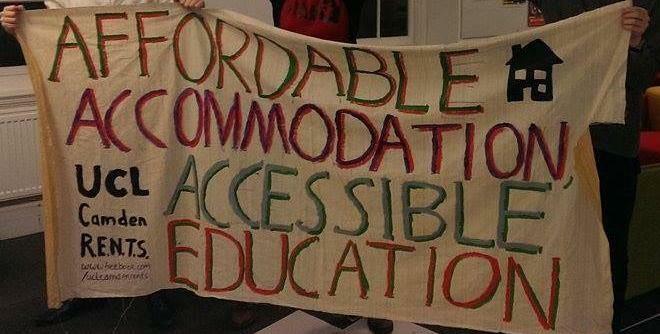 Affordable Accommodation, Accessible Education – A banner from the UCL Camden RENTS Campaign. For most, living in halls isn’t exactly luxurious but we put up with it. Most students experience any number of ‘horror stories’ during their time in student accommodation. 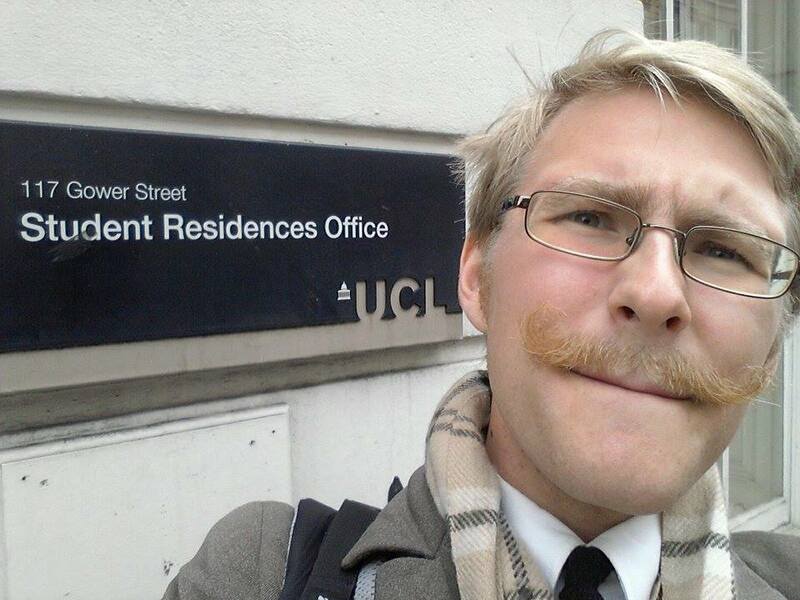 Certainly, after only a couple of months at UCL, the newest batch of freshers already have enough to last them a year. If you live in Max Rayne you will now likely be intimately familiar with the cockroaches. Students are finding them across the building; in their kitchens and even in their bedrooms. Does Max Rayne somehow attract unhygienic students or are UCL ignoring what must be an infestation? 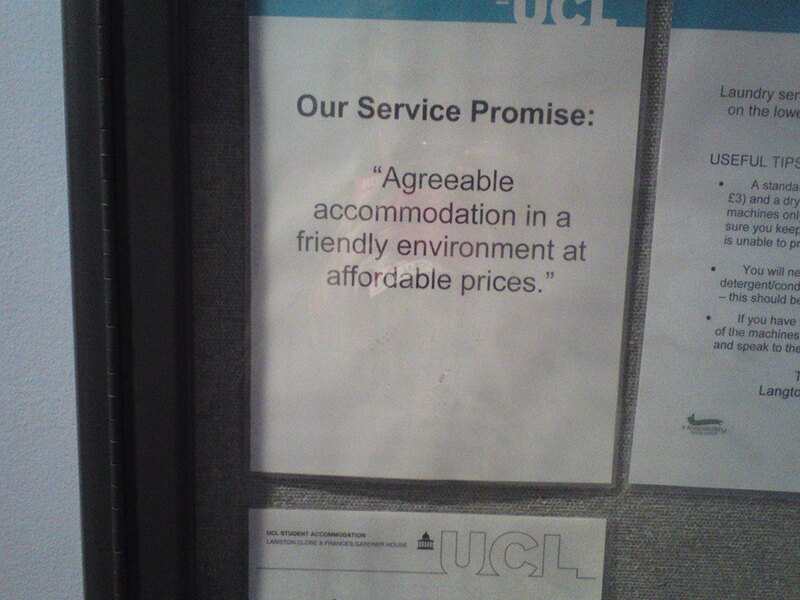 UCL’s accommodation slogan. The “affordable” bit is, essentially, a lie. For other unlucky students, attempting to cook for the first time after arriving ended with the arrival of two fire engines. Understandable, perhaps, if they had burnt their cooking, but not so much when all they did was turn on the ovens. Within minutes the kitchen was filled with smoke due to the incredibly poor condition of these ovens. There are plenty of other stories, too. From toilets being out of use for the first two weeks upon arrival, to a windowsill that is held together with tape and numerous bedroom windows that aren’t even sealed properly. There was also the infamous 48 hours during which Ifor Evans and Max Rayne were without hot water and heating after a fuse was blown. At least the students were contacted by management about it… once the problem had been fixed. Fortunately, at the start of term, a few lucky students were able to put off the halls ‘experience’ for about a week as building work had not been completed in their accommodation when they arrived. However, if most students, past and present, have had some kind of ‘horror’ experience during their time in halls, why bother writing about them? The answer is simple: the rent is too high. UCL runs some of the most expensive student accommodation in the country and that would be somewhat justifiable if it ran some of the best student accommodation in the country, but it doesn’t. Excluding the ‘horror’ events, the basic standard of student accommodation does not correspond to the price that we are paying. 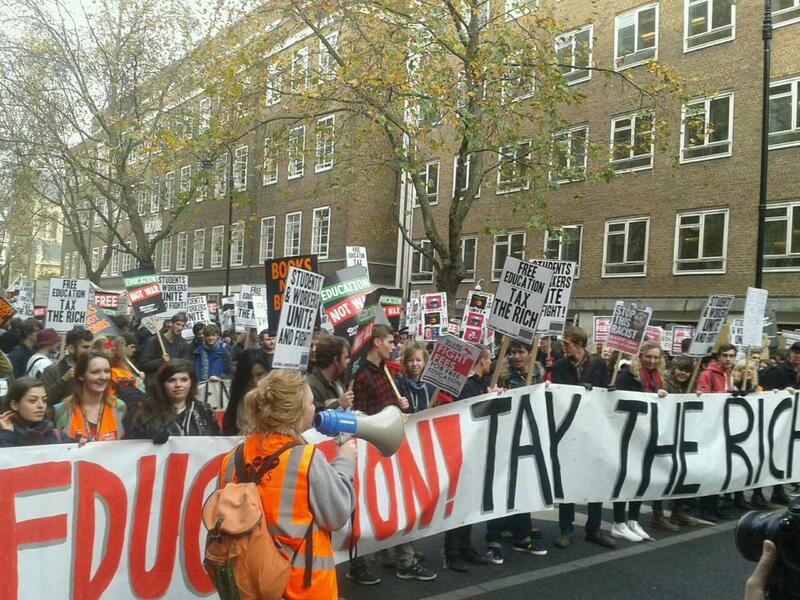 When UCL charge extortionate rents and don’t invest it back into the accommodation (or at least charge lower rents), the students have to put their foot down and do something about it.